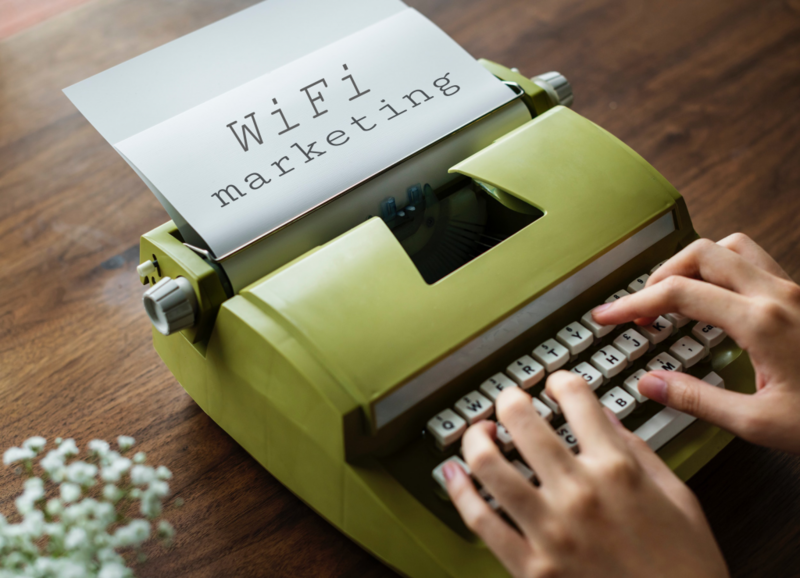 The last couple of years had been buzz years for enterprises trying to integrate WiFi Marketing solutions into their Guest WiFi systems. Some were quickly successful while others took time to catch-up. Not long ago, back in 2013, a WiFi project for customers was touted as the toughest challenge of the decade. If we reflect back, the core value of WiFi Marketing has been to identify the visitor connected over the WiFi as the repeat customer or a new visitor. Everything else such as engagement with the connected user simply follows the course. Surprisingly some of the WiFi Marketing implementations totally missed this boat. The IT teams at the enterprises who missed this point looked at captive portals as purely the authentication gateways, leaving money on the table in terms of not expanding the reach to engage with the customers. Some others focused on creating the value through just one aspect of the WiFi Marketing project, and that is, through the proximity sensing with APs or Beacons. Why is WiFi Marketing a Passé? A technology that doesn’t influence how businesses interact or interface with their customers has to meet this fate. Technology need not be at the fault entirely in this case but rather its implementation and productization played a critical role in limiting its marketing capabilities. Marketing practitioners know how important it is for them to be able to measure the performance of any marketing campaign. WiFi Marketing as a project generally revolves around simple metrics such as number of visitors signed-in, the number of personal emails collected and number of social IDs collected. The activation of this data often happens in another system, making it difficult for marketers to analyze the true performance of the WiFi marketing outcomes. The ability to garner data-points from across disparate processing systems and combine it with behavioral data from WiFi solutions is another hurdle in the journey of a marketer who strives to deliver value with WiFi marketing solutions. When a marketer is unable to drive campaigns out of a WiFi Marketing stack, their customers can’t see any significant experience upgrade. WiFi Marketing solutions have been traditionally guarded by first the architects, then by the implementation engineers and lastly by the operations or support engineers. This resulted in missing the marketing perspective from the WiFi solution. Marketers traditionally keep away from anything that needs more technical understanding than what they possess. If there is one thing that customers care for when they begin their interactions, even over WiFi, is their overall experience whether it is with the people at a venue and over the digital channels. The millennial population’s preferred experience is the one that spreads across these physical and digital touchpoints and that is phygital experience. It is the future of marketing which guarantees maximum customer experience. Customer reviews are a manifestation of what they see, feel and experience while transacting with businesses. Upgrading the consciousness from WiFi Marketing to delivering phygital experience brings customer at the epicenter of the game of marketing over WiFi. 56% of the guest WiFi users log-in using their social profiles. The social profile is an interesting place, being at the boundary of both the physical and digital environment – it facilitates a perfect platform to enable phygital experiences. With augmented reality, virtual reality and IoT the venue owners are already gearing up to tap into this intersecting world of phygital for customer engagement. Research has shown that revenue growth is tied to customer engagement. According to PWC, organizations using digital outreach methods forecast higher revenue growth, and Bain Company found that engaged customers spend between 20% and 40% more than other customers. Nearly 50 percent of consumers were more likely to engage with digital experiences that offered seamless integration with their physical world — signaling a shift in how consumers expect the physical and digital worlds to blend. This was found in 2015 and we are ready to deliver it in 2019. One thing that you need as a marketer is a WiFi Marketing platform that empowers you to take full control of all the customer conversations and activate them across channels. An interesting example of phygital use cases is when customers, using an augmented reality app over the guest WiFi in a restaurant, are able to see the portions that will be served to them. Customers can utilize this feature before they order so that they are able to make better decisions on what they would like to eat. The value it offers is that the customers get clarity to make their choices based on portion sizes. Based on user behavior and anticipated actions, making recommendations for the physical world over a digital channel is delivering phygital experience. For example, reminding a user through an online notification about a special offer on a product precisely when they are moving towards the section where that product is kept, this drives more sales for a particular product. As the businesses move into 2019, it is clear that the roadmap for these businesses is about finally demolishing the gap between physical and digital, because their customers have already done that. Phygital is here to drive the real difference for end-customers and therefore it is imperative that the progressive marketers latch on every opportunity that enables them to deliver phygital experiences. RaGaPa is committed to delivering phygital experiences over Guest WiFi through its state of the art CaptiveXS Guest WiFi platform. Connect with us to learn more. Love to see you pressing the mental envelope with fresh perspectives on this compellling but complicated category. The more value we can show for WiFi, the more connectivity there will be around the world! Great to read about your emphasis on marketing value. It will drive growth and benefits for everyone!